Most who have visited this blog more than once probably knows just how much the Japanese art of wrapping, known as Furoshiki, is treasured around here. 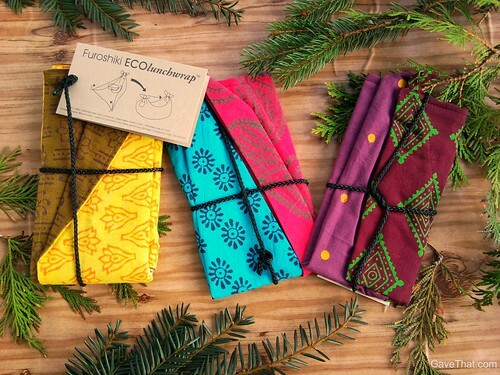 Which is why this next gift find brings a great deal of happiness today... EcoLunchBoxes Furoshiki wraps and tote bags! The twist on these is that the prints on these bags are actually created by Batik and block printing fair trade artists in India. Running your fingers over the fabric you can feel the history and work put into these pieces. 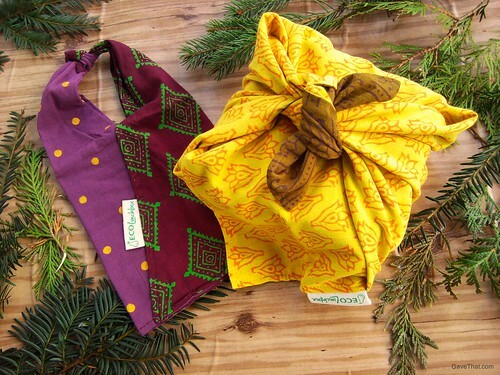 Even if knotting and wrapping in the Foroshiki style is completely foreign to you or your gift recipient, EcoLunchBox illustrates how to do it on the attached cards. 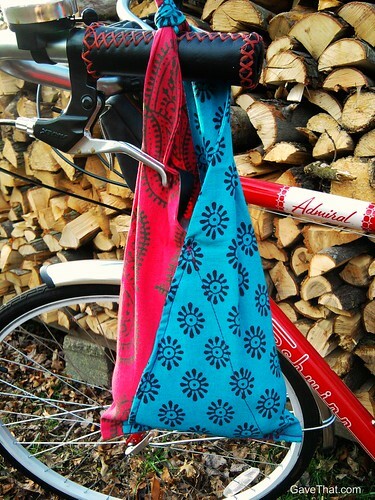 The tote bags are very simple, only needing a knot at the top to form a strap and lovely as heirloom goodie bags. A major thank you to EcoLunchBox for sending such lovely things for review and inclusion in this year's gift guide!